The space was designed by Shannon Smithers-Gay from one80 Design. The space is modern and rustic with a touch of industrial – from the quartz bar, to the personalized back wall, and the large modern light fixtures. We want the space to feel inviting and a place that everyone wants to keep coming back. Our first visit to Carben was a pleasure. The food was delicious, the service friendly and attentive but not overbearing. We did find the portions a bit on the small side for the price, but the quality of the ingredients, the beautiful presentation, and the innovative flavour combinations were excellent. Would happily return. We thoroughly enjoyed this first experience at this restaurant. We will definitely recommend it and go back there again. The quality of the food and the knowledge of the staff and professionalism was quite awesome. As always, Carben offered incredible dishes with exceptional service. I've never had anything I didn't love when visiting Carben. For my first course,I had the artichoke flan which was absolutely delicous. For mains I had the scallops. I enjoyed the flavour profile of the dish but, the scallops were a little over cooked. However, the ambience and servie made up for this small deficiency. I would recommend Carben to anyone and hope to return soon. We celebrated my birthday amongst a few friends and were thrilled with our meal, the service and the atmosphere of Carben. The owners are very present and engaged with the clients. I will happily go back many times to keep exploring the wonderful food and the simple delight of the place. Cocktails are the best! The atmosphere is nice and servers are very friendly. We had an absolutely fantastic dinner. Every appetizer at our table and entree was outstanding. In addition, the lovely owner was so sweet and explained what was on each of our plates. 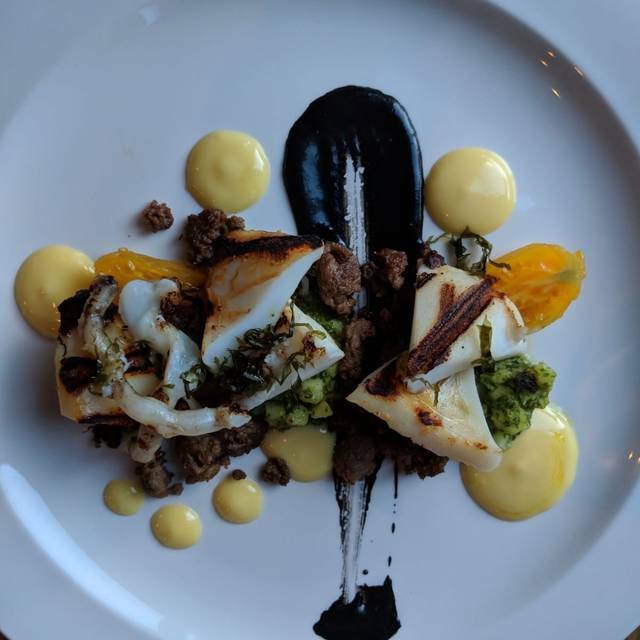 The meals are a work of art and utterly delicious. We also had fabulous wine! We will absolutely return! Extremely good modern cuisine with great service. One of the best restaurants in Ottawa in our o opinion. 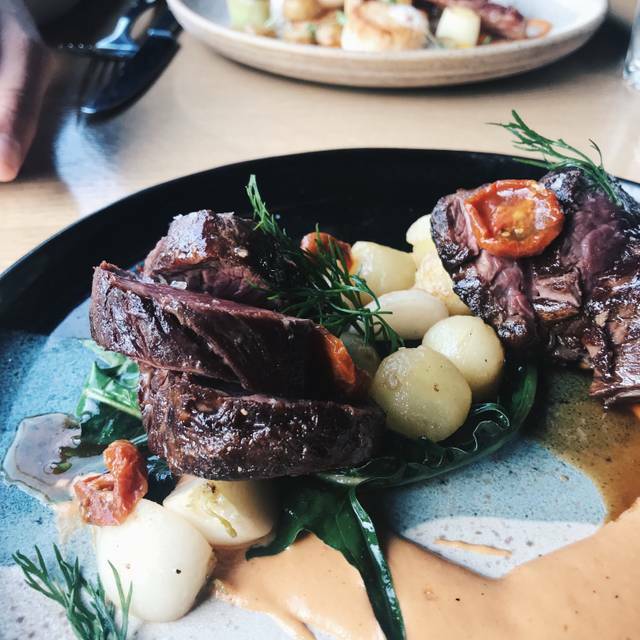 We have eaten at Carben a number of times, and the food is always very, very good. 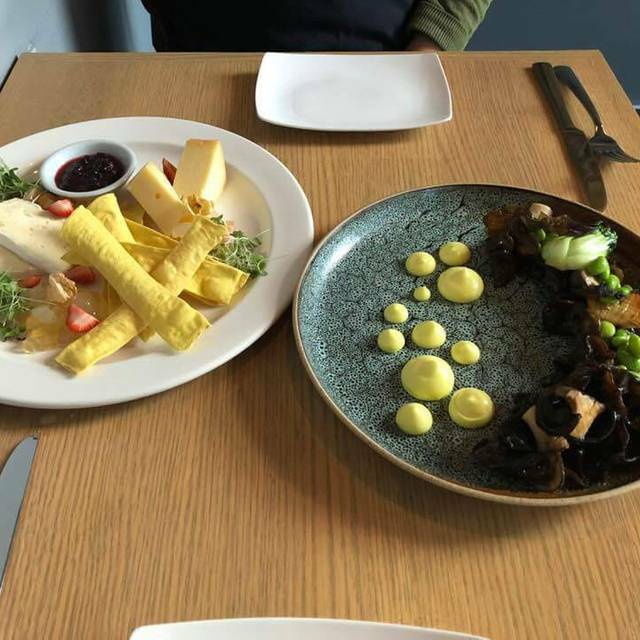 On March 22, we shared a mushroom appetizer accompanied by turmeric aioli; also a lovely apple dessert which celebrated every texture from creaminess to a taffy-like topping. Oh -- I almost forgot the delicious multi-section warm roll served with its flavoured butter. A delightful start. 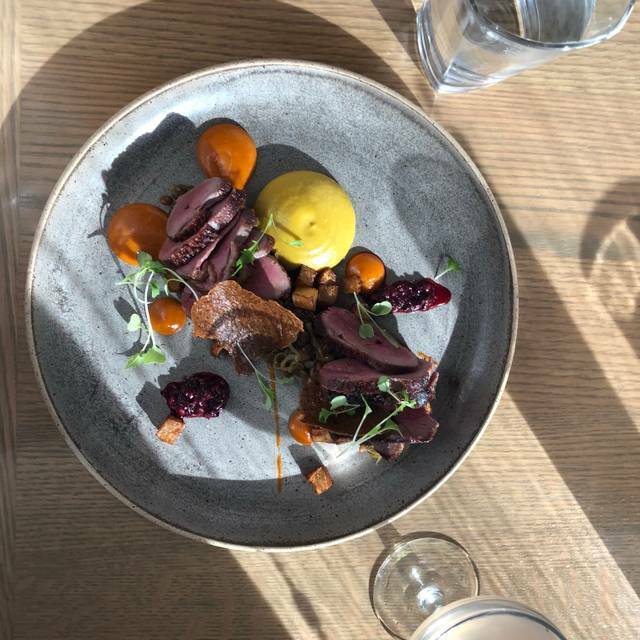 In between, we chose the duck -- moist, flavourful, and well-accompanied -- and the trout, which was done to a turn with perfect crispness on the skin. 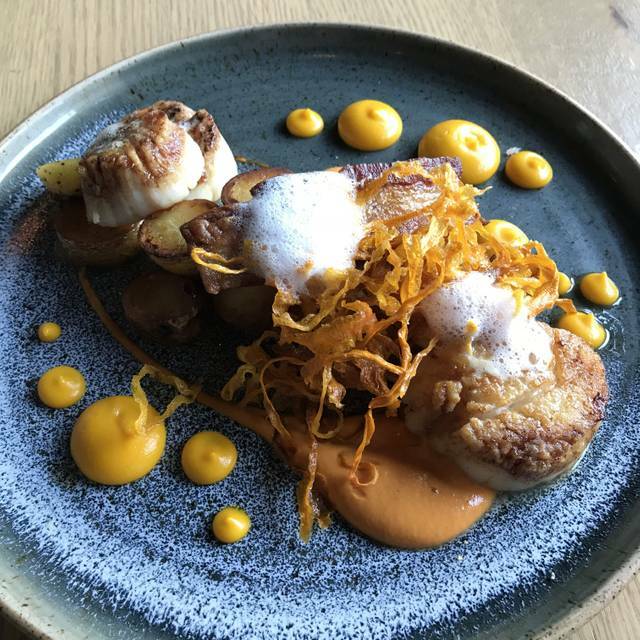 When we think of places we have dined (eighteen, Beckta, Stofa, les Fougères, and l'Orée du bois, for example), we are finding that Carben stands up to the best meals we have had in those places. Last Friday in particular, we found the kitchen really outdid itself. If you or your friends have enjoyed meals at any of the above places, it's time to RUN to Carben. It was superb. A wonderful addition to Hintonburg - the three of us enjoyed our meals and plan to return soon. 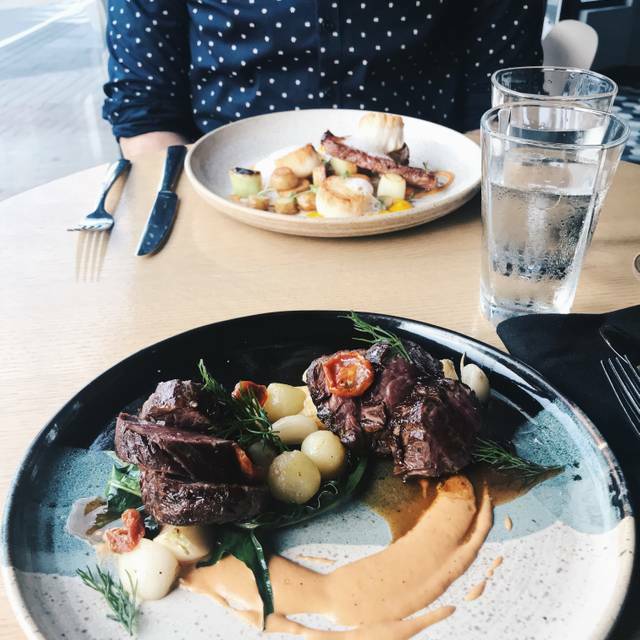 We went to Carben on a date night while visiting Ottawa. 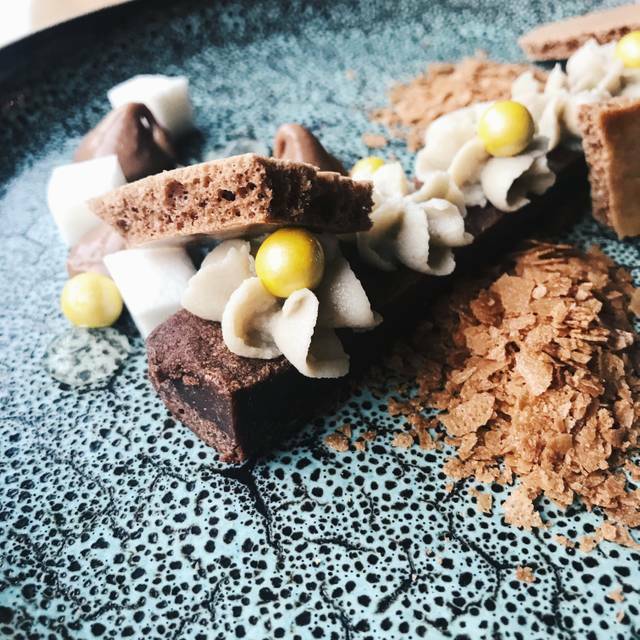 We enjoy interesting flavours and creative dishes and this place did not disappoint. 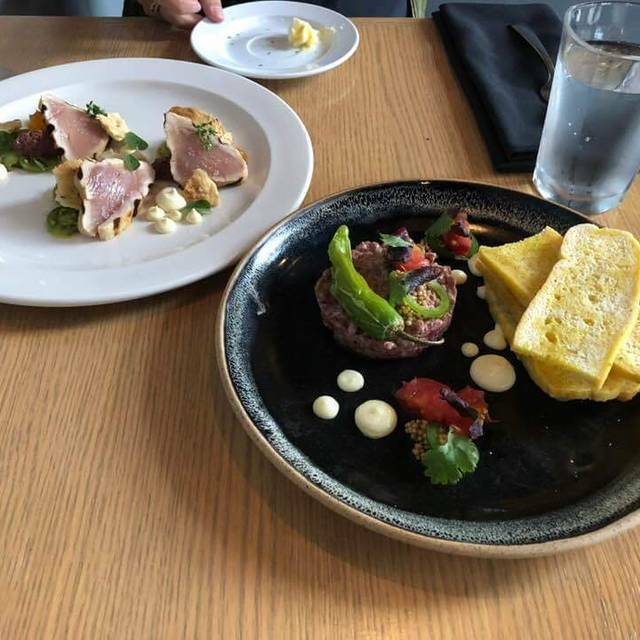 They have frequently changing menu, so you may not find the Duck Tartare and the Beef Tataki that we had as an appetizer or the Scallops and the Duck Confit our main courses, but based on our experience anything you choose from their menu will be an excellent culinary experience. The ambiance was great and the staff was attentive. As far as pricing goes,if you are aware of how much effort goes into creating these fabulous meals you will not mind rewarding this place with your business. We will definitely return when next time in town. P.S. The "Apple of my eye" with a glass Tokaji Szamorodni was the perfect dessert choice to end the evening. We had the chef’s tasting meal and thoroughly enjoyed every bite. The service was amazing and the food outstanding. Great restaurant. Simple menu but well executed food and innovative. Impeccable service. I have already recommended Carben to friends and family. I had a great time here - the food was delicious, innovative, and beautifully presented. The service was friendly and it was nice to talk to the chef himself about the dishes. Good ambiance. I will be back. Delicious food and excellent service. We would come back again. The food and the service were excellent. It was extremely noisy, which ruined the experience. I would recommend to a friend for the food. Great staff, food and atmosphere. The owners and staff clearly care about the customer experience and have a passion for food. Fantastic service and the food and drinks were delicious. I will certainly be back for a full dinner. Friendly service, tasty food and great value. Would highly recommend this restaurant. I have never had a bad time at this restaurant! The atmosphere is relaxed but upscale. The staff were extremely busy with an unexpected shortage in staff but were still helpful and warm. The food is incredibly flavorful, unlike any other meal I've had in the city! You MUST get the wood ear mushrooms - I get them every time I go and crave them until I get them next! Delicious food very well presented and lovely ambiance. Food is beautifully presented and tastes even better! Congrats Carben. The food was creative and delicious. The service was excellent and very informed. Really good food, great ambiance, nice people. 100% would go again. I was my first time there and I shall certainly return. Creative, beautiful presentation, generous portions. Good prices on wine. This was our second trip to Carben and both times it was great. The service, food, drinks and value are all awesome. Thanks! We'll be back! Unreal experience. Amazing food, service was by far the best I've ever received. Naj was a fantastic server, thoughtful and went above and beyond to ensure our experience was amazing. Took our coats, helped us put our coats on, and walked us out just to hold the door open. 10X10 would recommend. The food was creative and delicious. We will be returning. Thanks Carmen and Naj! It was a bit noisy but the food and service were exceptionally good! We would go back. Great food in reasonable portions. Variety from course to course. Cheerful excellent service. When a glitch happened in the kitchen we were given a glass of Prosecco to compensate - along with a fulsome apology. Will go back definitely. The wood ear mushroom appetizer was superlatively delicious. The service was good and it had an extensive wine list. The food was good. However, for the price that we paid ($30+/plate), the main dishes were rather small. For the size of the main dishes there, I believe $20/plate would have been a more fair price. Excellent food, pleasant atmosphere, great service. Will recommend to others. Incredible meal at Carben! The food & service were excellent. I can’t wait to go back! Excellent food and service, as usual. The Wood Ear Mushrooms are a favourite, and one of the major reasons to keep going back. 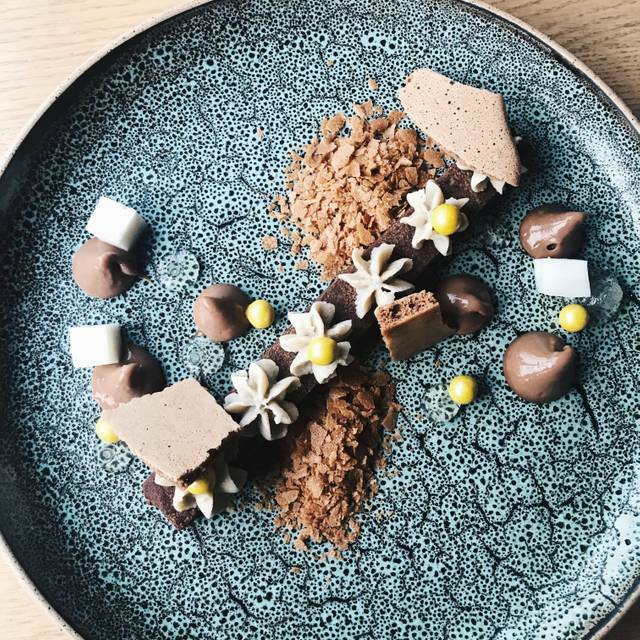 This month's hand-made chocolate selections were divine! Great interesting beautifully plated food. Friendly interested service. Very good good, excellent service, Our server was attentive, helpful, and courteous.